4.Mini Display Port, Not compatible with Thunderbolt 3 (USB-C) ports,connect Mac Book, Mac Book Pro, or Mac Book Air. You can only plug a port among 3 output ports at one time, when you want to use the DVI output, you just need to connect the DVI devices with a DVI cable. 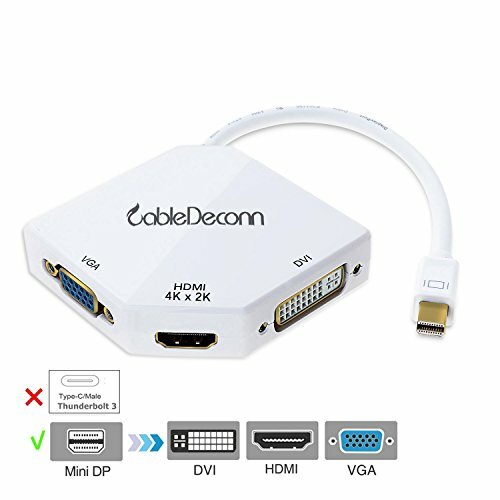 And when you want to use the HDMI output, you just need to connect the HDMI devices with a HDMI cable. When you want to use the VGA output, you just need yo connect the VGA devices with a VGA cable.